As many of you may know, I&apos;ve been hard at work finalising my new cookbook, The KetoDiet Cookbook which is now available to preorder! I&apos;ve spent several months creating and testing recipes and included the best 150 low-carb & paleo / primal recipes. 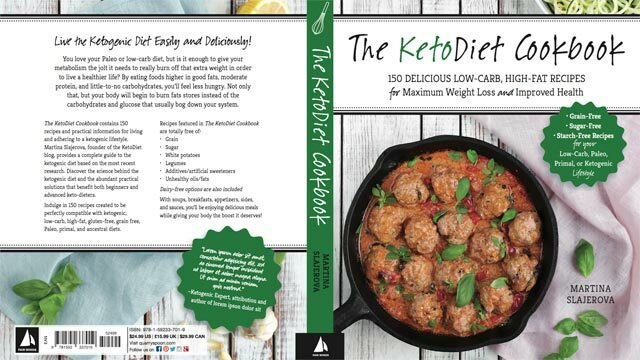 The KetoDiet Food List: a list of foods to eat and avoid on a keto diet, a KetoDiet guide and my low-carb cooking tips. Best of all, the book is now available to preorder on Amazon, Barnes & Noble and other book stores - both printed and electronic! I decided to give you a small sneak peak and share one of the many delicious recipes from The KetoDiet Cookbook. This recipe is one of my favourite dishes to cook for summertime BBQs and family gatherings. 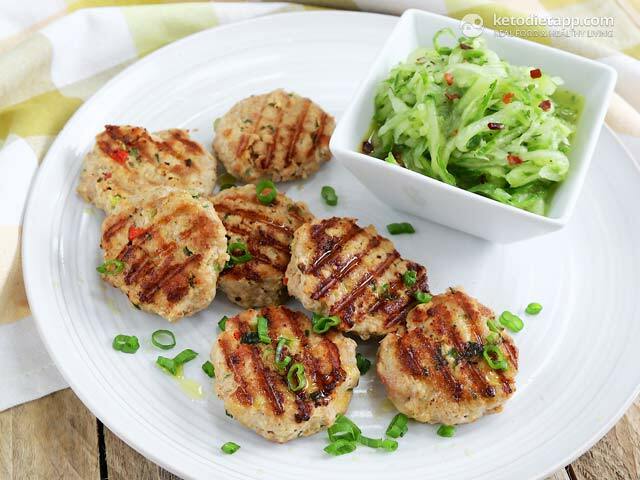 It goes great with spicy cucumber salsa (see the recipe for details) or even Tzatziki (recipe from the KetoDiet App). While the recipe is very low in carbs, it uses fresh, real food ingredients and is very easy to make. 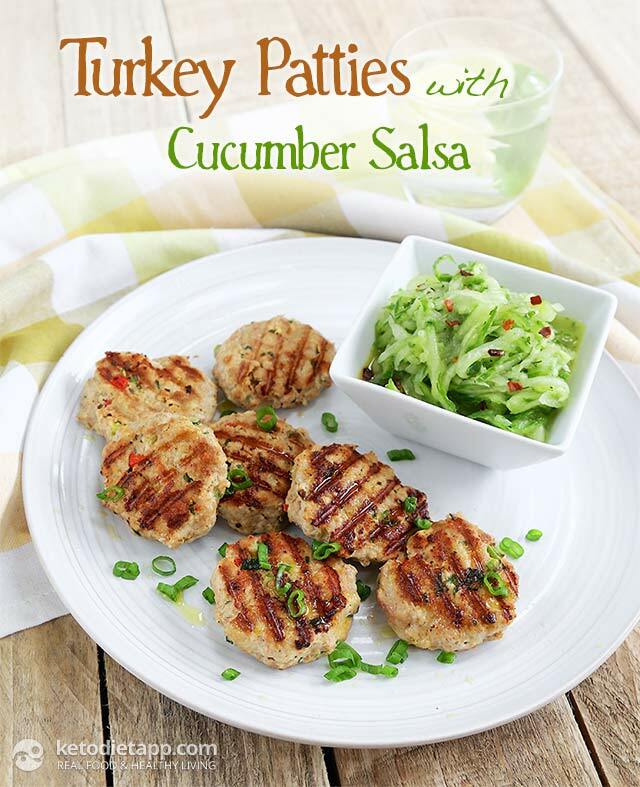 You can find my Turkey Patties with Cucumber Salsa at QuartoKnows.com. Macronutrient ratio: Calories from carbs (4.2%), protein (22.7%), fat (73%). I made this last night. We loved it, definitely a keeper. I bought your recipe book, it's great, could you just tell me though, what is the photograph on the front cover of? I don't know which recipe it refers to. Nowhere do I see "portion size" in the recipe or the nutritional value. Please give me the proposed weight for the portion of patties you're analyzing nutritionally above. Hi Dimples, this recipe makes 4 servings - all the ingredients, weights and nutrition facts are listed at QuarySpoon.com (see the link). The nutrition facts per serving are in this post above. Hope this helps. Hi Martina, are there any nut-free recipes? Thanks! Hi Ali, yes, there are many nut-free recipes  I just checked and it should be round 100 nut-free recipes and in many you can use seeds / seed butter / seed flour or coconut / coconut flour instead. What percentage of the recipes in your new cookbook are dairy-free? Hi Sarah, about 30 recipes (out of 150 recipes) include dairy. The remaining recipes are either dairy-free or include a dairy-free alternative. The cover looks great Martina. Congratulations! Started on the Keto Diet 12 days ago and without ever felling hungry have lost 2,5Kg  The app is just amazing. I love how we can create our own recipes or adapt the recipes from the app according to the ingredients available while still staying within the planner. It's just brilliant!! Yes, it will we available in the UK. Thanks! Martina I'm so excited! I've been following your posts on instagram and was waiting for the book to be out! I've seen some of the delicious photos and can't wait. Thank you so much for your hard work!! !